A senior al-Qaida leader who planned and executed international operations for the terrorist group was arrested last week by Pakistani security forces with help from U.S. intelligence agencies. Younis al-Mauritani, who was instructed by Osama bin Laden to attack economic targets in the United States, Europe and Australia, was captured along with two associates in the southwestern Pakistani city of Quetta, long known to be a militant hotbed and Taliban stronghold. "He was planning to target United States economic interests including gas/oil pipelines, power generating dams and strike ships/oil tankers through explosive laden speed boats in international waters," the Pakistani military said in a statement following Mauritani's capture. The capture of Mauritani coming so close on the heels of last month's killing of al-Qaida's second-in-command, Atiyah Abd al-Rahman, in a CIA drone strike marks another major blow to core AQ leadership in Pakistan. Al-Qaida has seen a rapid thinning of its senior ranks in recent months with the slaying of Osama bin Laden by Navy SEALs in May and the death of Ilyas Kashmiri in a predator strike in early June. Al-Qaida has enjoyed a safe haven along Pakistan's border region with Afghanistan since the Taliban's downfall in 2001. From bases in Pakistan's Federally Administered Tribal Areas (FATA), Baluchistan and the North West Frontier Province (NWFP), al-Qaida has been able to plan attacks in partnership with its regional affiliates. The central leadership, based out of the mountainous tribal belt of northwest Pakistan bordering Afghanistan, recruits and trains operatives and disseminates jihadist propaganda. It also provides funding, training and weapons to its local franchises in Yemen, Somalia, and other countries. It also has used the region's lawless environment to foster jihad in Pakistan, undercutting the credibility of a key U.S. ally in the region. Don Rassler, an associate at the U.S. Military Academy at West Point, believes the al-Qaida core is laying greater emphasis on fueling militant activity in Pakistan. "A review of al-Qaida's statements pertaining to Pakistan, militant activity in the country, and the alliances al-Qaida has fostered among Pakistani factions reveals that the group is acting to shape Pakistan's militant environment and foster jihad against the Pakistani government," Rassler writes. Pakistan has seen a dramatic increase in the scale and number of al-Qaida sponsored terrorist attacks during the past decade, including a series targeting high-ranking political leaders and other government targets. Senior al-Qaida operative Abu Faraj al-Libbi who was captured in Pakistan in 2005 was alleged to be behind the two assassinations attempts against President Pervez Musharraf in December 2003. Pakistan's political leadership, including the president, prime minister, as well as leaders of its armed forces, escaped a truck bomb attack on Islamabad's Marriott hotel in September 2008. An American intelligence officer said the attack "bears all the hallmarks of a terrorist operation carried out by al-Qaida or its associates." The Times of India reported in June 2009 that several al-Qaida leaders had come in to Pakistan from Iraq to carry out attacks against senior political leaders including President Asif Ali Zardari. · In May, al-Qaida terrorists attacked a Pakistani naval air base in the southern port city of Karachi after talks with Pakistani military officials failed to secure the release of naval officers arrested for suspected ties to the terrorist group. In addition, al-Qaida has used its "media prowess and ideological authority" to undermine the authority of the Pakistani state and its support for the U.S.-led war effort in the region. In a videotaped message released August 2008, al-Qaida leader Ayman al-Zawahiri criticized Musharraf for ordering the July 2007 army offensive on the Lal Masjid or Red Mosque complex following its takeover by Islamic militants. "Pervez [Musharraf] has insulted and compromised Pakistan's sovereignty by allowing the CIA and FBI to operate freely in Pakistan and arrest, interrogate, torture, deport and detain any person, whether Pakistani or not, for as long as they like, thus turning the Pakistani army and security agencies into hunting dogs in the contemporary crusade," Zawahiri said. He also alleged that Pakistan was "virtually ruled from the American Embassy." Al-Qaida also plays a critical role in helping build alliances among disparate Pakistani militant groups that either opposed each other or had conflicting goals. This bolsters their ability to launch international attacks against the United States and its allies. For example, some rival Pakistan Taliban factions were in violent conflict with each other frustrating al-Qaida's efforts to carry out attacks against U.S.-led NATO troops in Afghanistan. In early 2009, Afghan Taliban leader Mullah Mohammed Omar, who shared close ties with bin Laden, mediated a truce between the rival factions and also helped create an umbrella group called Shura Ittihad-ul-Mujahideen (Council of United Holy Warriors). Soon after the council's creation, al-Qaida's media channel as-Sahab released a video interview with Mullah Nazir, one of the leaders of the Pakistan Taliban. In the interview, Nazir upheld the peace agreement among the rival factions: "We [the Pakistan Taliban] have forgotten all our differences and merged this alliance as one. There shall be no more disputes in the future." The TTP is suspected to be behind the assassination of former Pakistani Prime Minister Benazir Bhutto. In May 2010, Pakistani-American Faisal Shahzad was charged in connection with the failed plot to bomb Times Square in New York. He trained with and received financial support from the TTP. The TTP has also been involved in attacks on American targets in the region. TTP leader Qari Hussain, who was designated by the State Department earlier this year, helped train the Jordanian militant who attacked a top CIA base in Khost, Afghanistan, in December 2009 killing seven Americans. The TTP was also reported to be behind the April 2010 suicide attack on the U.S. consulate in Pakistan's northwestern capital city of Peshawar. The Harkat ul-Jihad al-Islami (HuJI), an al-Qaida ally in Pakistan, was implicated in the March 2006 bombing of the U.S. consulate in the Pakistani port city of Karachi. U.S. diplomat David Foy was among four people killed in the attack. Former HuJI commander Ilyas Kashmiri, who was killed in a U.S. drone attack in June, was involved in the suicide bomb attack on the CIA base in Afghanistan. Kashmiri also commanded al-Qaida's deadly 313 Brigade. Al-Qaida also shares close ties with the Haqqani Network. The Haqqani Network, based out of North Waziristan, the tribal belt in Pakistan along the border with Afghanistan, constitutes the principal faction of the Afghan Taliban. This jihadi network patronized by al-Qaida has launched several attacks against U.S.-led coalition forces in Afghanistan and is considered a major deterrent to peace in the region. It is led by senior Afghan rebel Jalaluddin Haqqani and his son, Sirajuddin Haqqani. In February 2010, then-Director of National Intelligence Dennis C. Blair told the Senate Intelligence Committee that America remained vulnerable to threats from al-Qaida core. "We judge that al-Qaida maintains its intent to attack the Homeland—preferably with a large scale operation that would cause mass casualties, harm the U.S. economy, or both," Blair said. 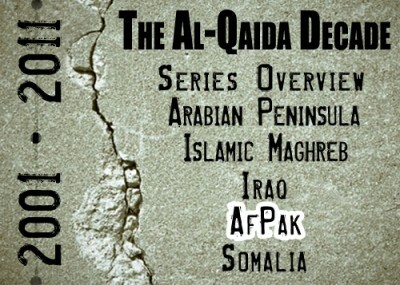 Although al-Qaida has morphed from a hierarchical organization with a large operating budget, to a largely ideological movement following the 2001 American invasion of Afghanistan, the group "retains the capability to recruit, train, and deploy operatives to mount some kind of an attack against the Homeland," he added. In addition to the U.S. homeland, al-Qaida and its affiliates and allies continue to pose a threat to U.S. partners overseas, including Europe. Afghan-American Najibullah Zazi pleaded guilty to plotting to set off bombs in New York's subway system in September 2009. The plot was reportedly hatched by al-Qaida's senior leadership in Pakistan. Zazi received explosives training at an al-Qaida camp in Pakistan. In January 2009, an American-born Bryant Neal Vinas traveled to Pakistan and trained in explosives in an al-Qaida training camp. He pleaded guilty to conspiracy to kill Americans and to providing material support to al-Qaida. after taking part in a missile attack against a U.S. base in Afghanistan. Vinas also admitted to authorities his role in helping al-Qaida plan an attack against the Long Island Rail Road in New York. In September 2010, Western intelligence sources uncovered a "Mumbai-style" al-Qaida plot that allegedly called for simultaneous terror attacks on multiple European cities in the U.S., France, and Germany. Although the al-Qaida core retains the capability to launch deadly attacks, its command and control capabilities appear to have been substantially weakened, following recent losses in its senior leadership. "Al-Qaida is definitely on its back foot in the region," Heritage Foundation South Asia expert Lisa Curtis told the IPT following the killing of Atiyah abd al-Rahman al-Libi. The United States needs to work with Pakistani authorities to crack down on local jihadi groups tied to al-Qaida such as Lashkar-e-Tayyiba (LeT), Harkat ul-Mujahideen (HuM), and HuJI, she added, "because they essentially remain intact and able to continue their operations."